Please welcome Barbara Casey to Alison Can Read. She has a new book called The Cadence of Gypsies and was kind enough to guest post on the blog today. Check out The Cadence of Gypsies! 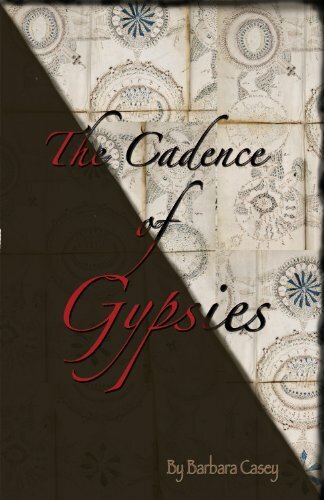 Gypsies, and what she discovers changes her life forever. the text (written from left to right) and figure outlines, and vibrant washes in various shades of green, brown, yellow, blue, and red were applied to the figures, possibly at a later date. The fourth section contains 34 pages of drawings, which are pharmaceutical in nature. extraterrestrials have been named as possibilities. But to date, there is no proof of authorship, and computer analysis of the Voynich Manuscript has only deepened the mystery. Fascinating stuff. Makes me want to read the book. Hmm.. this sounds really interesting! You've caught my attention, now I'm going to have to check it out. many thanks for such an informative review, I'll be certain to keep an eye out for this book. Wow, what an interesting guest post! I'd never heard of this manuscript before, but now I'm very very curious as to why no one has been able to figure out what it says or who wrote it. I also can't wait for the interpretation of it in Cadence of Gypsies:) Thanks so much for sharing Alison and Barbara! Very interesting facts. And, I want to be a FIG. JS. I love it when history's mysteries and fiction combine. The possibilities are endless. Gypsies and a coded document? Sounds fantastic. TBR list addition for sure.